Michael Wenrich is a registered Architect and LEED AP with over twenty years of experience working in Florida, Virginia, Vermont, and South Carolina. Throughout all projects and locations, Michael has maintained a passionate focus on responsible and livable modern design. Michael has a Bachelor of Architecture Degree from Virginia Tech and a Master of Architecture Degree from the University of Virginia. In addition to his professional practice, Michael has taught undergraduate design studios in the school of architecture at UVA. A well funded, stable entity with low overhead, Landmark Custom Homes and Remodeling is uniquely positioned to ride out the ebbs and flows of the real estate and construction markets. Our clients are given the utmost confidence in our ability to not only protect their capital investment, but to turn it into something of value and beauty. We recognize that the residences we create or refurbish on behalf of our clients are not merely homes, but important assets in their portfolios. Headquartered in Reunion, Florida, Landmark Custom Homes and Remodeling is a preferred builder in some of Florida’s most prestigious communities. The company’s leadership team has more than 50 years of experience in development, construction, real estate and finance. Adept at building in all architectural styles and working with budgets of any size, Landmark Custom Homes and Remodeling’s team of professionals and partners integrates traditional construction methods with contemporary advances in materials and technology and distance-friendly processes. We subscribe to a strong service-centric philosophy with a “boots on the ground” approach to ensure every client’s vision is realized with precision and style in the most seamless and value conscious manner possible. Karen works with homeowners and builders to create spaces that are both beautiful and functional. By quickly assessing her client's needs Karen works closely to provide the best possible solutions from projects ranging from remodels to new home construction. Karen's love and passion for environmental solutions carries through every stage of her design process to connect the client with the natural beauty of their surroundings. Contact her with more information regarding your project and we can work together to design a space that is suitable for your individual needs. 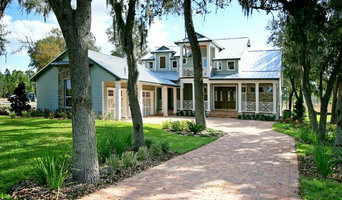 Central Florida green builders, creating the finest real estate and energy efficient homes. Ehrhard Construction Group strives to make the building of your custom home a wonderful experience. Brandon Commercial Development (BCD) is a Central Florida based general contractor – design build company founded in 1996. 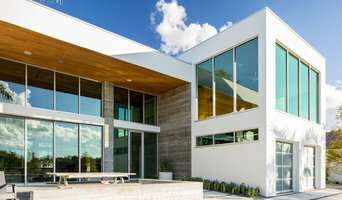 The principals, Tom and Linda Brandon, have established a reputation for excellence in development, general contracting and design build areas based on a broad range of project experience. The Brandon Team is experienced in the delivery of construction services and construction management for a variety of specialties, such as Aviation, Hospitality, Religious, Retail, Restaurants, Medical Facilities, Commercial Office Environments, Tenant Improvements, Industrial and Manufacturing Facilities along with Communication Infrastructure. Konkol Custom Homes and Remodeling, LLC is a design-build custom home and remodeling company located in Maitland Florida. Custom new homes range in price between $500,000 and $3 million. Renovations range from $50,000-$2 million. KCH&R utilizes a team of talented designers and professionals as a full service organization. The company partners with local design experts to provide the highest level of design and finishes offered in Central Florida. Work performed on our homes is subcontracted to various companies who are responsible for the management, oversight, profit and loss of their own organizations. 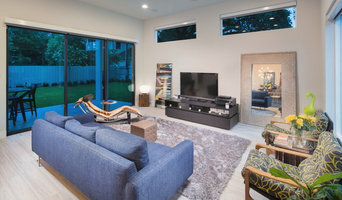 Canin Associates' Architectural Design Studio is recognized as an innovative leader in Custom Home, Whole House Remodel and Outdoor Living Space design. We also specialize in high density, smaller (but right-sized) housing for builder clients. Our award-winning designs feature the latest home design trends and we design plans with efficiency for cost-conscious construction while optimizing comfort, furnishings, features and integrated indoor/outdoor living. Castle Rock Custom Homes, is an independently owned and operated franchise of Arthur Rutenberg Homes, constructing homes in Orange, Seminole, Osceola and Lake Counties of Florida. Run by Bill Barfield, Bill has successfully built custom homes for years. He has a tremendously diverse background as an attorney, President of Land Acquisition and a Division President for a Top 10 national home builder. Bill has created a team at Castle Rock that provide homes of distinction that its customers are proud of. His team are driven to provide the finest custom home building experience possible, one home at a time. Building a custom home can be a daunting process. But not when you choose Castle Rock Custom Homes. 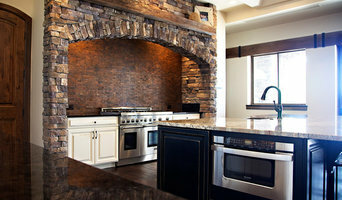 In addition to our sterling reputation, our custom home building process is like none other, perfected by over 60 years of experience building luxury custom homes. From start to finish our building process is designed to be as stress free as possible. In addition to dozens of beautiful, fully customizable home plans, we offer a rapid quote system, design services with professional interior designers, fully furniture model homes to tour, and quality guarantee homeowners can rely on. MACKBUILD CONSTRUCTION is a fully licensed and insured, residential and commercial building contractor in Brevard County, FL specializing in new construction, site work and land development. With over 25 years experience, Mackbuild has the knowledge and professionalism to make your building dreams a reality! Look us up on Facebook! UDH Contractors' goal is to create a Uniquely Designed space to meet every client's needs. UDH Contractors have the skills, experience, staff and resources to complete restoration, reconstruction, remodeling, and new construction projects in the residential, multi-family and commercial arenas. Whether you desire to design and build from the ground up, remodel and improve an existing space, UDH Contractors is Central Florida’s best choice.